On this Wordless Wednesday we share a photo from Triangle Farms. 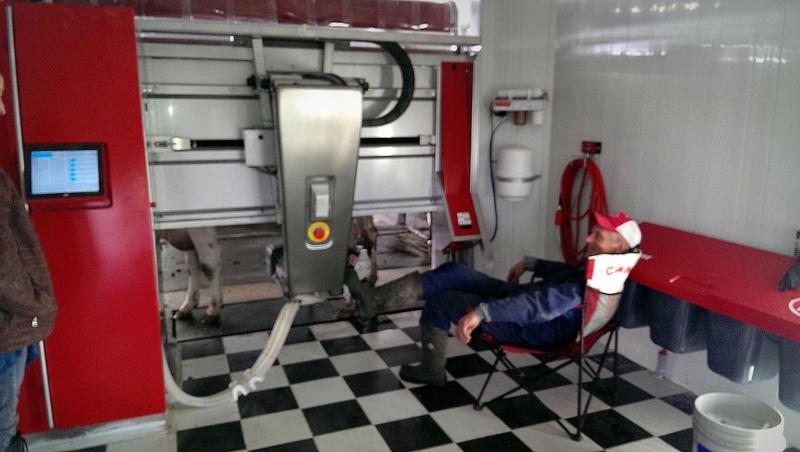 Martin DeGroot watches as the third cow is milked in the robot. This is Living Life Lely!